Today I will reviewing Soap & Glory's Scrub Your Nose In It special pore refining facial scrub £9.00, now that is a long name! I'm not a big fan of grainy scrubs because they can really damage the skin. Although this isn't a grainy scrub per-se it isn't a liquid exfoliant either. You smooth on a layer of the scrub and leave it on your skin for 2-ish or so minutes and then you rinse it off. It contains AHA's which help chemically exfoliate your face and this is so much gentler - but effective - and it leaves the skin a lot smoother and refined. It does have a citrus scent which always makes me think of toilet cleaner but I can definitely overlook that. 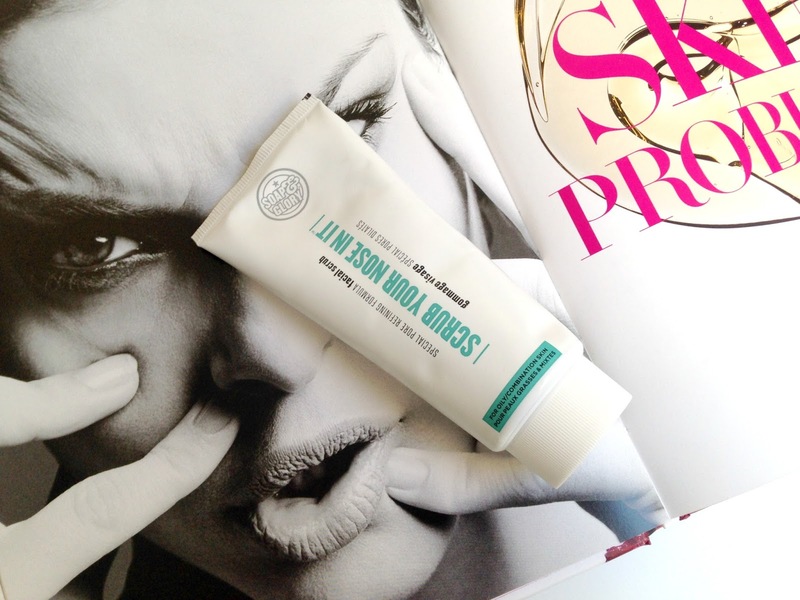 It comes in a squeeze tube which I love as it makes it so easy to get the product out. The scrub does tingle slightly when it's on but that's how you know it is working. I'm obsessed with this and I use it 2-3 times a week. It doesn't dry out my skin which is a huge plus. If you're looking for a new exfoliant then definitely consider this one from Soap & Glory. 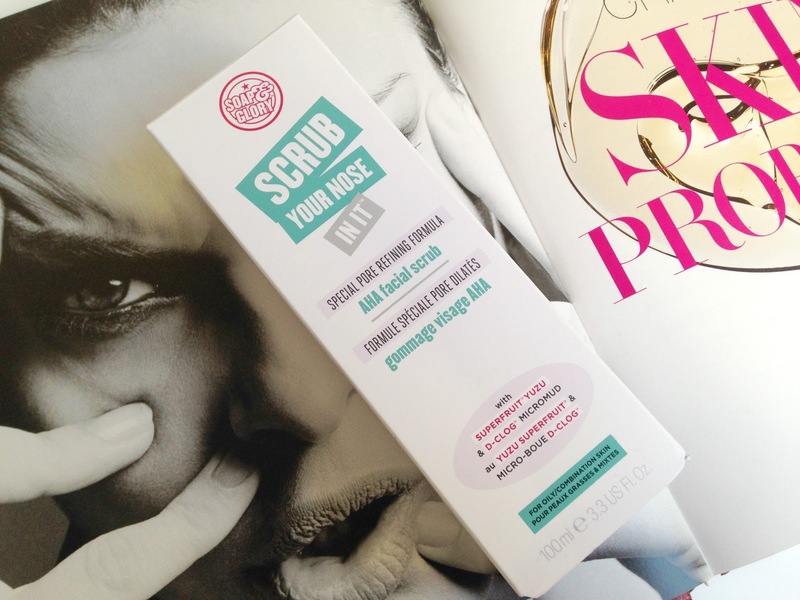 What do you think of Soap & Glory's skincare?